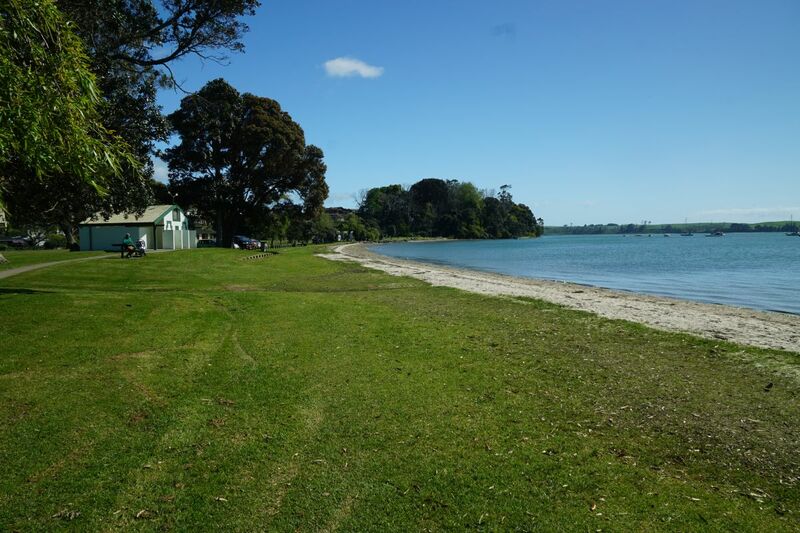 There are several walks on the Omokoroa Peninsula, with the most popular being a short walk from the Domain, through the Gerald Crapp Historic Reserve and past the Wai-Huri Pa site, to Bramley drive. 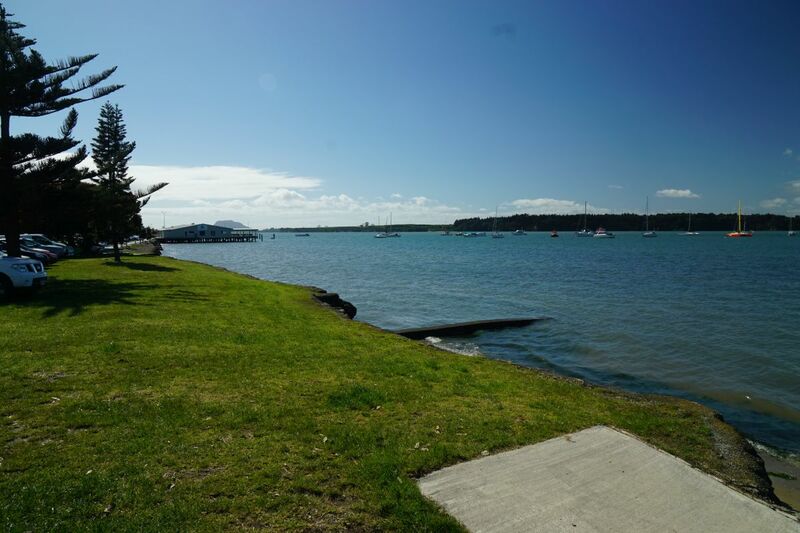 A much longer walk of about 9 km continues from Bramley Drive and along Hamurana Road to a coastal walk alongside the Omokoroa Golf Course, across the peninsula to the the Cooney Reserve and heading back along the waterfront to the Domain. The coastal walk alongside the golf course is not passable at high tide, but there is an alternative track along the northern and eastern side of the golf course. The longer walk is not particularly well marked, especially around the golf course. 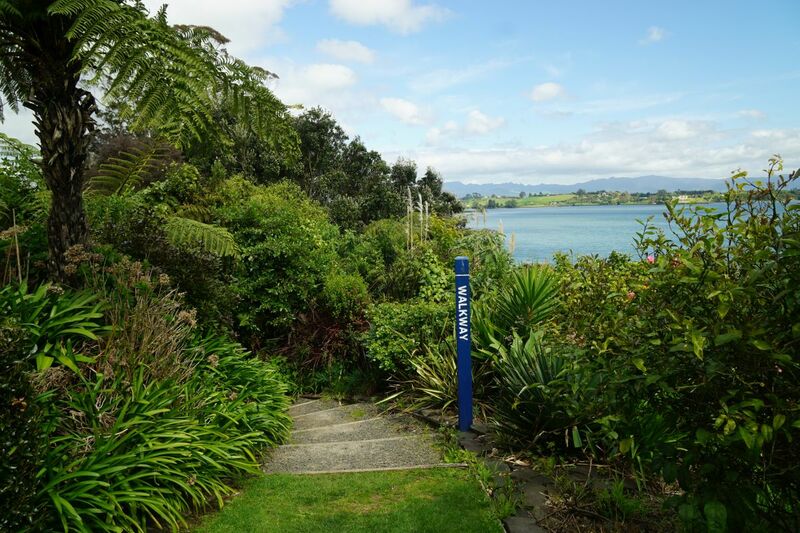 No markers show where to leave the waterfront and head alongside the golf course up to Kayelene Place. 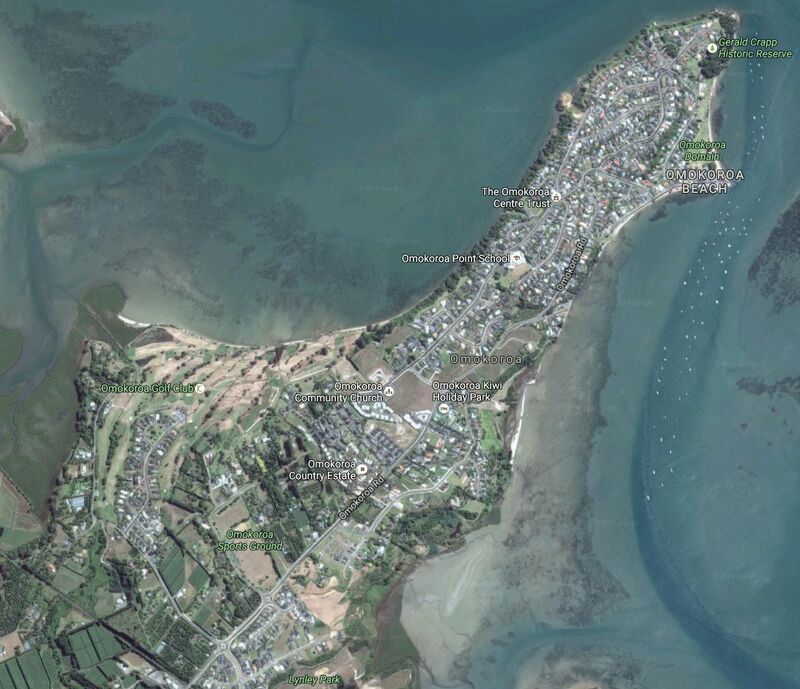 The walks are described in a booklet available for download from the Western Bay of Plenty District Council web site. 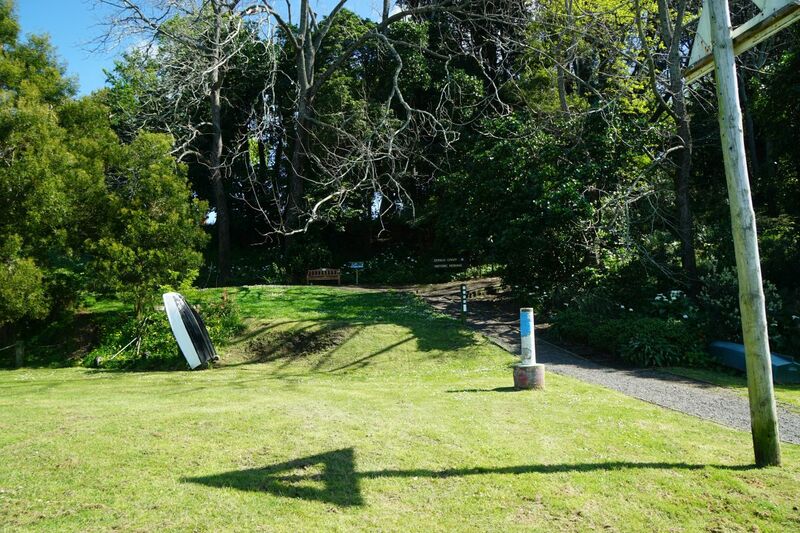 Parking is available near the Domain on The Esplanade, or on the Domain off Harbour View Road, as well as several other locations with access to the walk. Toilets are available in the Domain, and by the sports grounds on Western Avenue. 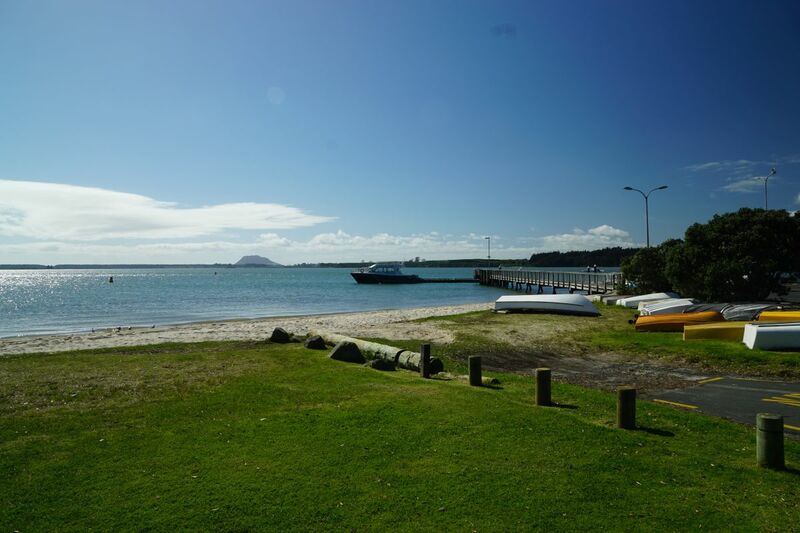 The waterfront alongside The Esplanade, looking towards the Omokoroa Boat Club building and Mauao/Mt Maunganui behind it. Parking is available along The Esplanade. 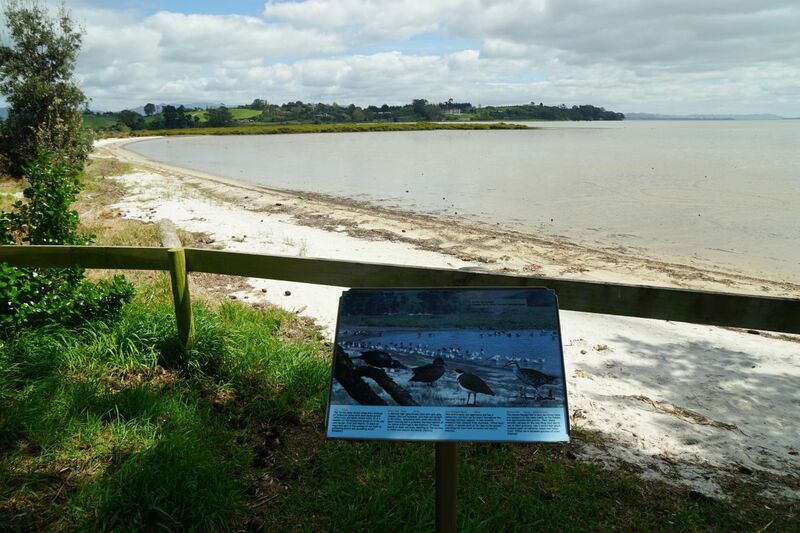 Information signs are located by the parking area and shop at the northern end of The Esplanade, near the jetty used by the ferry service to Matakana Island. 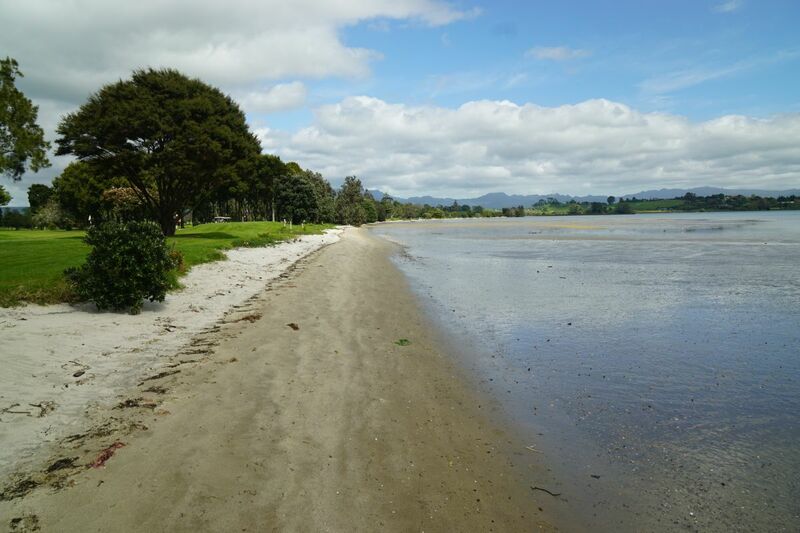 Looking from the Domain to the jetty and Tauranga Harbour with Mauao in the distance. 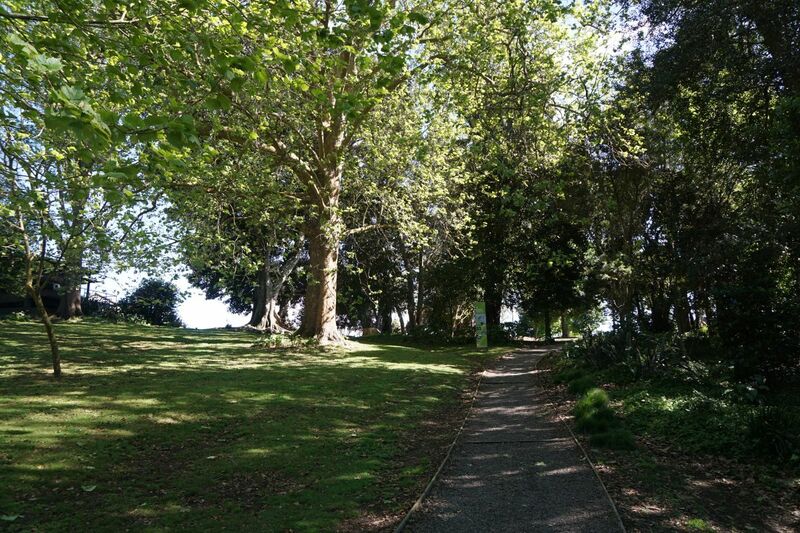 Looking along the Domain, with the tree-covered Gerald Crapp Historic Reserve at picture centre. Toilets are on the left. 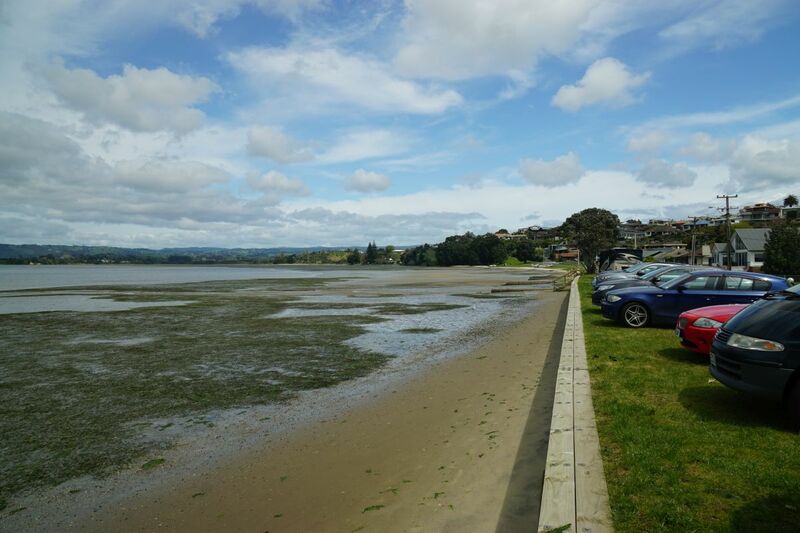 Parking is available along the waterfront behind the toilets. 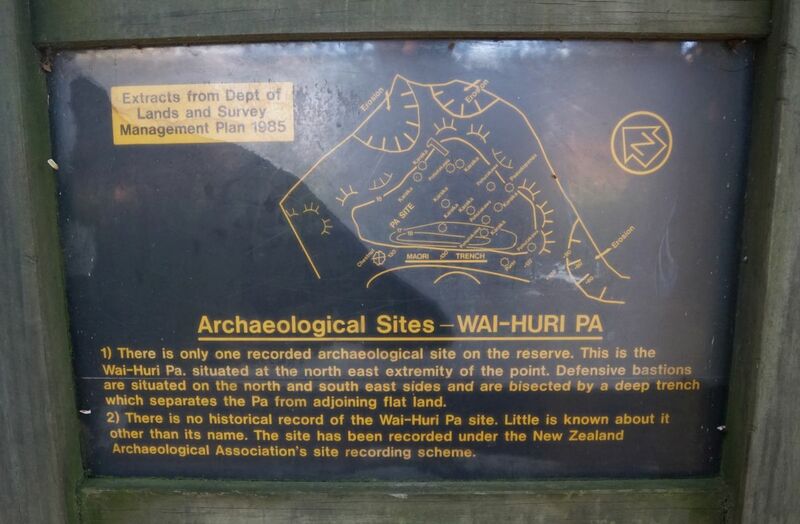 Entry at the northern end of the Domain to the Gerald Crapp Historic Reserve and Wai-Huri Pa site. 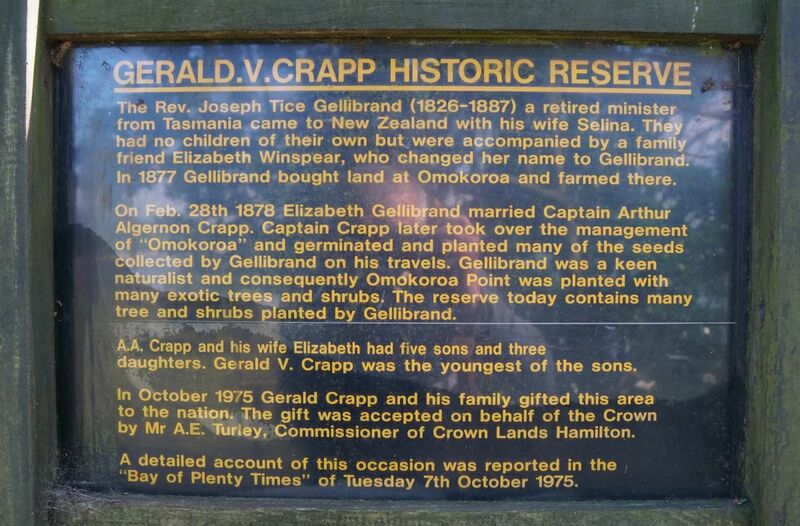 Information about the reserve and the family who donated the land. 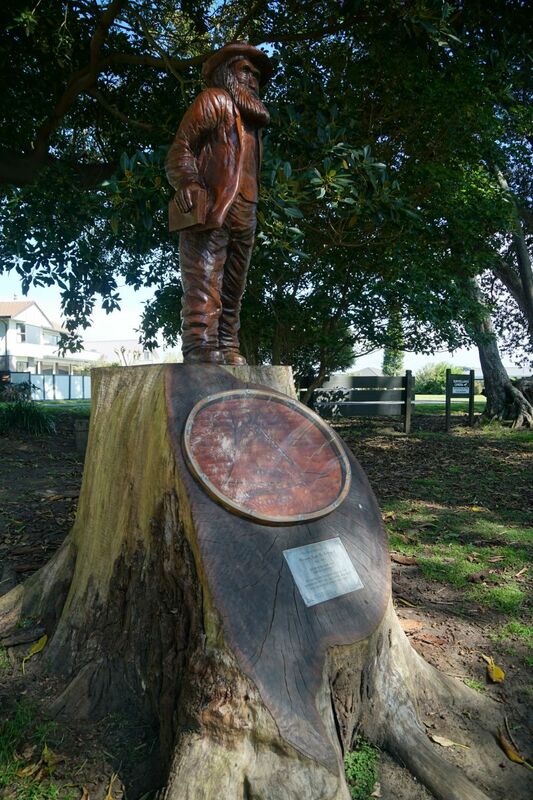 A statue and plaque in the reserve commemorates the Revd Joseph Tice Gellibrand, the first European settler on the peninsula, mentioned in the information panel above, and his sailing vessel ‘Alma’, used for transportation. The walkway passes through the reserve, with numerous large trees. Information panels are found in various locations along the walkway. Apparently very little is known about the Wai-Huri Pa, described on this panel. A small bridge crosses over the trench used for protection of the pa on the other side. 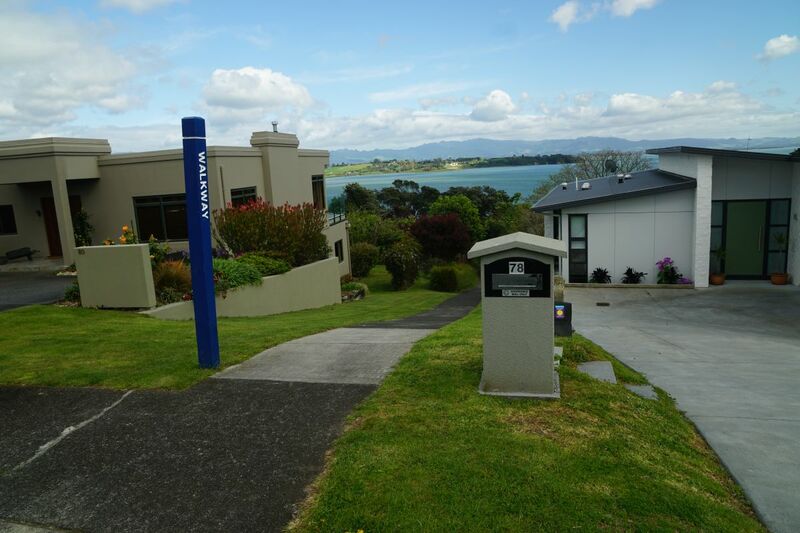 The walkway continues along the western side of the peninsula, with a steep bank down to the Tauranga Harbour on the right, and residential homes on the left. Paths and steps lead from the walkway down to the water in a few places along the walkway. 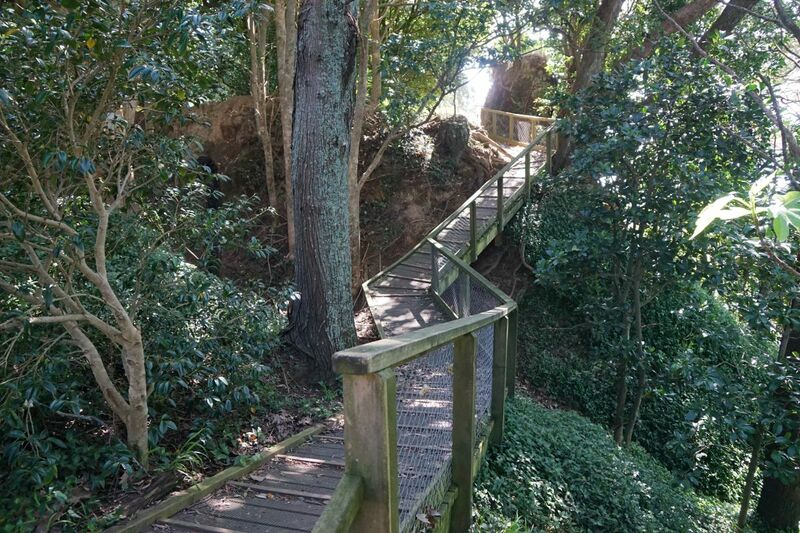 Due to slips and erosion the walkway along the coast ends at Bramley Drive. 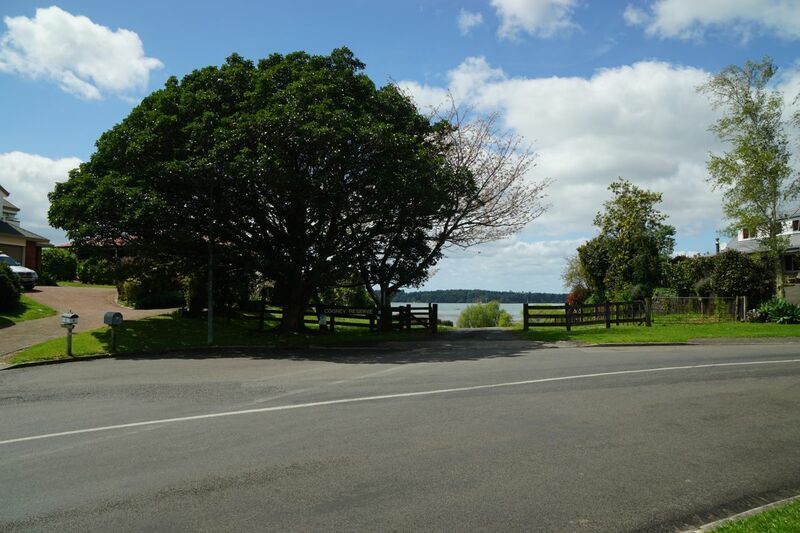 From here, continue down Macdonnell Street to Hamurana Road, then southward along Hamurana Road to the marked walkway back down towards the harbour, between number 78 and 80 Hamurana Road. Kowai Grove, shown on the right, does not give access to the walkway. The walkway back down to the waterfront. 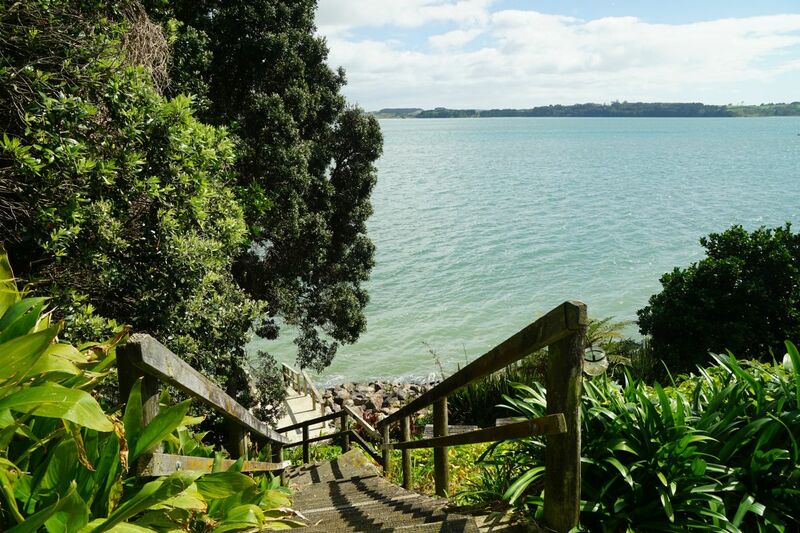 After a short walk along a grass area the walkway continues down a set of steps to the water. 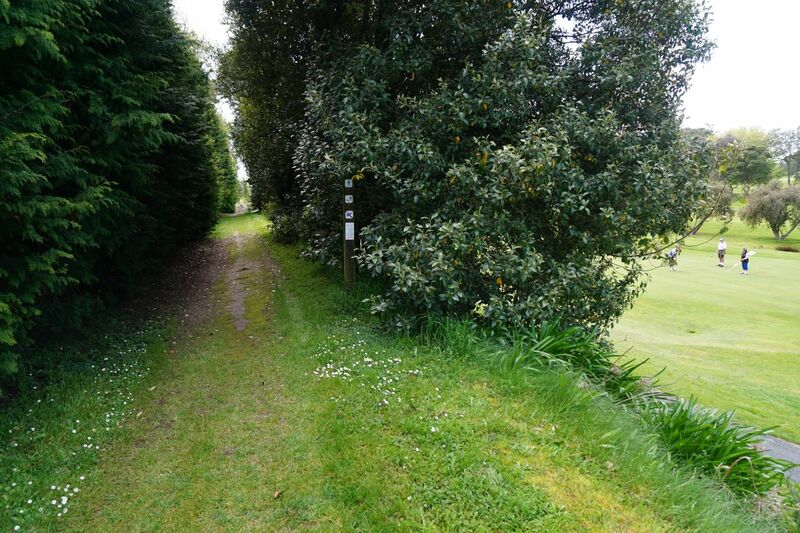 The walkway continues for a short distance alongside the water, towards the golf course. At the boundary of the golf course a walkway branches off to the left, with the coastal walkway continuing along the beach. At high tide this part of the walkway is under water. The beach walkway alongside the western boundary of the golf course. Further on it is necessary to walk on the muddy area. Near the end of the beach the walkway branches off towards Kayelene Place. 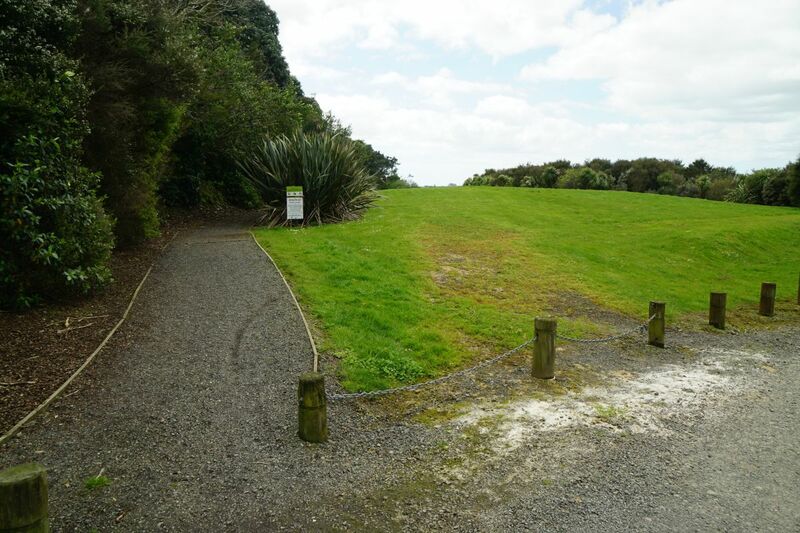 There is no sign to indicate that it is necessary to cross from the beach and over the wooden railing to continue the walk alongside the southern end of the golf course. Numerous signs warn of trespassing onto the golf course. The track follows close by the golf course, in places with a marker, but mostly just follow where a track is visible. Looking back down the walkway from near Kayelene Place, with the golf course on the right. 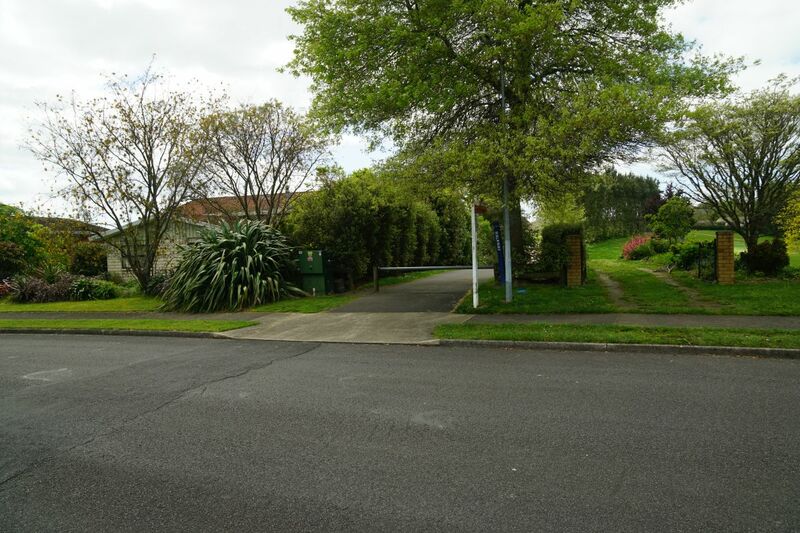 From Kayelene Place turn left onto Links View Drive, where a walkway at picture centre crosses to Western Avenue over a reserve. Turn right onto Western Avenue from the walkway. 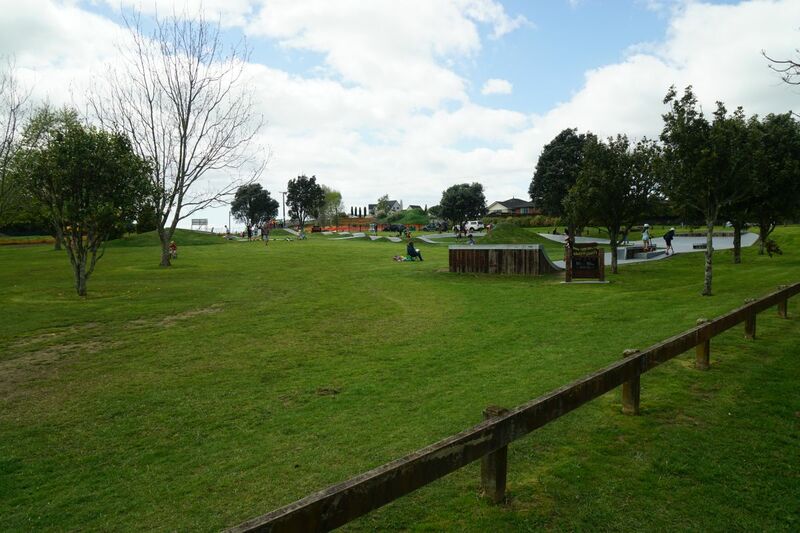 The avenue runs alongside sportsgrounds, with a skate park on the corner of Western Avenue and Omokoroa Road. There are toilets by the sportsgrounds, accessible from Western Avenue. 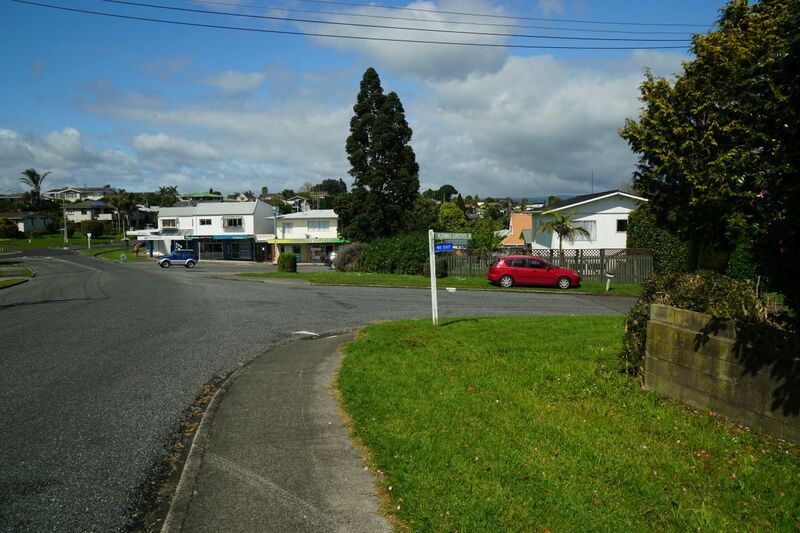 Turn left onto Omokoroa Road, and continue along the road to Margaret Drive. Take either the first entry to Margaret Drive, or the second entry as shown on the GPS tracklog. The walking distance will be about the same. 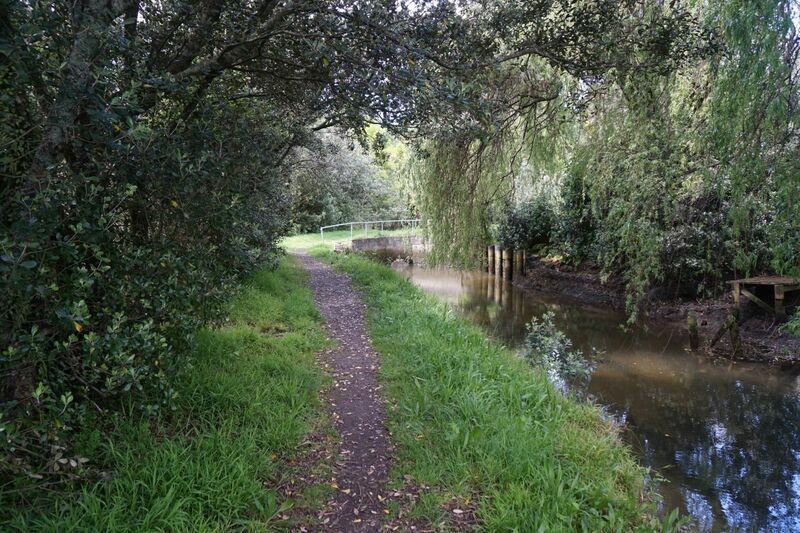 Near the northern end of Margaret Drive there is a road leading down to Cooney Reserve. 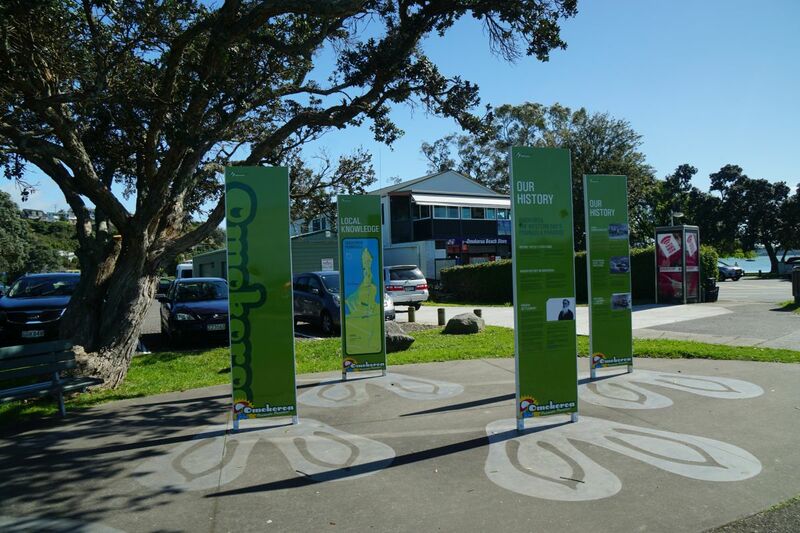 The Cooney Reserve walkway/cycleway starts by a large parking area off Margaret Drive. 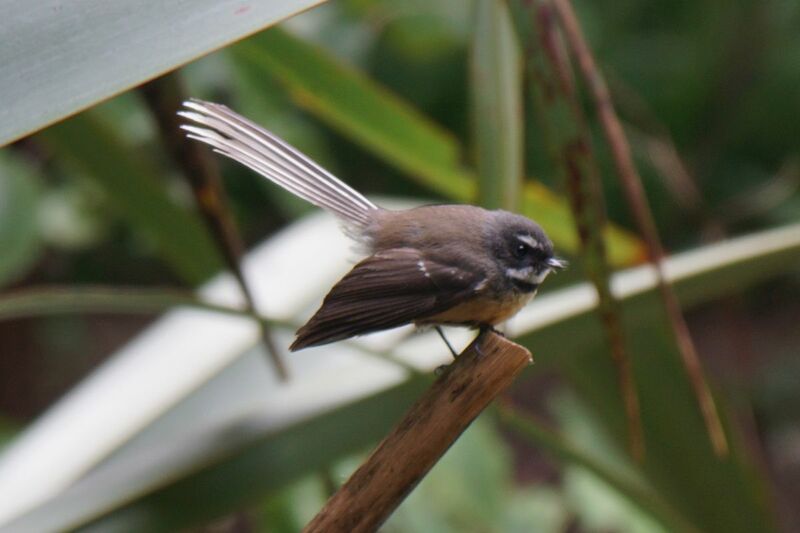 As well as shorebirds there are also fantails (piwakawaka) in the reserve. 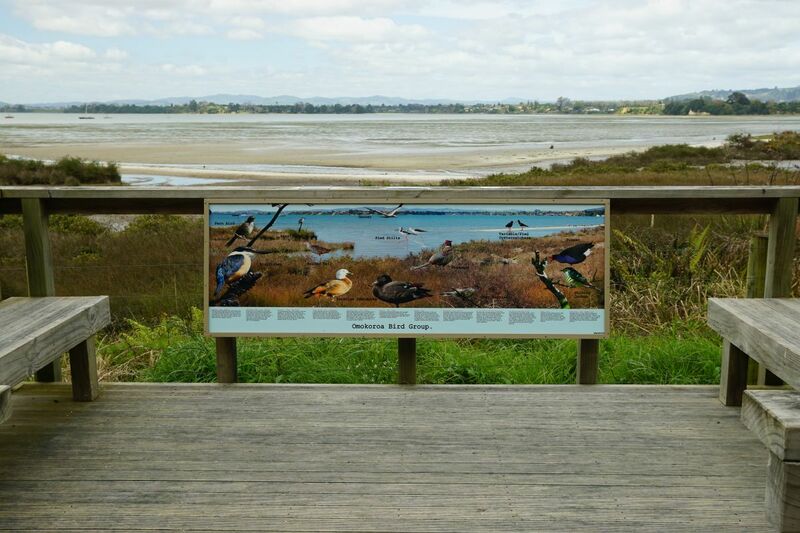 A lookout with an information panel about the various shorebirds which can be seen in the area. 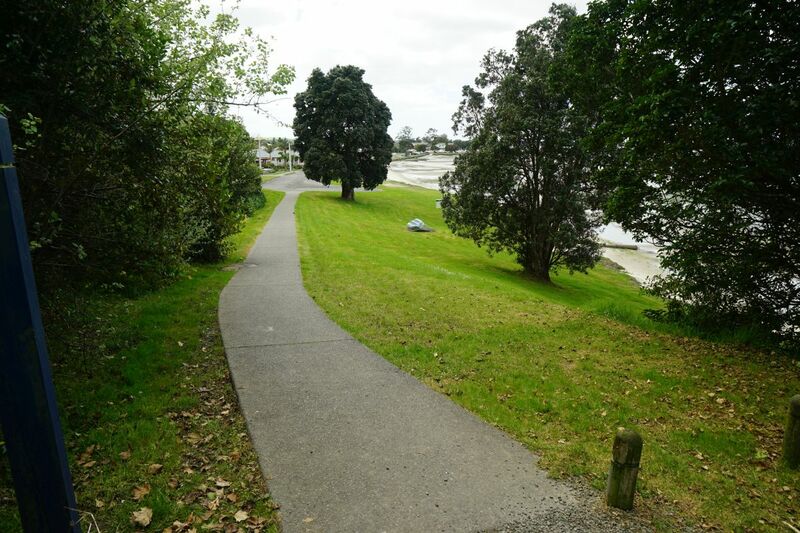 The walkway/cycleway as it heads towards The Esplanade. The exit of the walkway onto the southern end of The Esplanade. 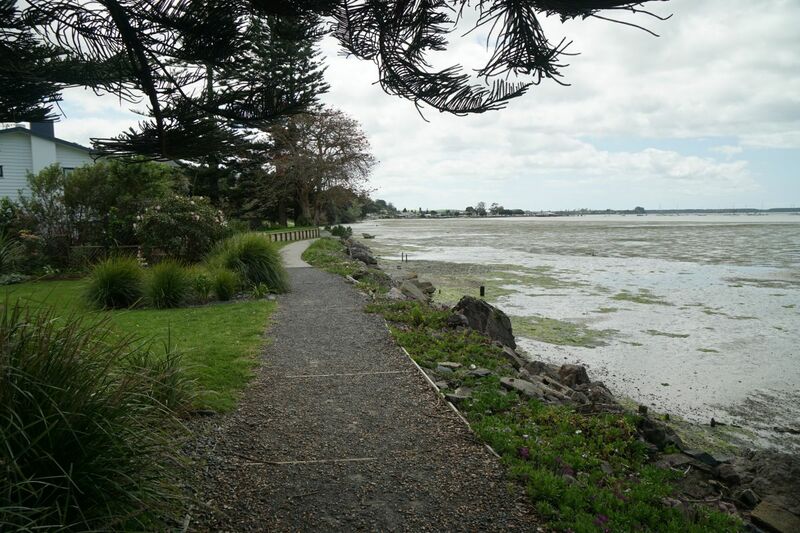 Looking back from near the northern end of The Esplanade towards Cooney reserve. The total distance walked was just over 9 km, with a time of about 2 hours 15 minutes, including a short break and a few wrong turns looking for the walkway. 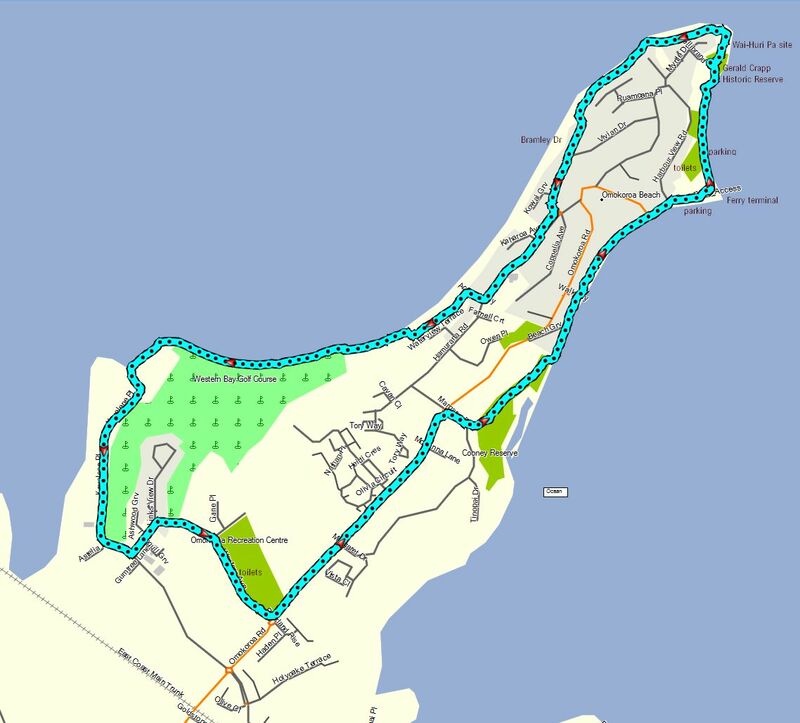 The GPS tracklog shows the route without the wrong turns, together with some points of interest, starting and ending near the northern end of The Esplanade and walking in an anti-clockwise direction. 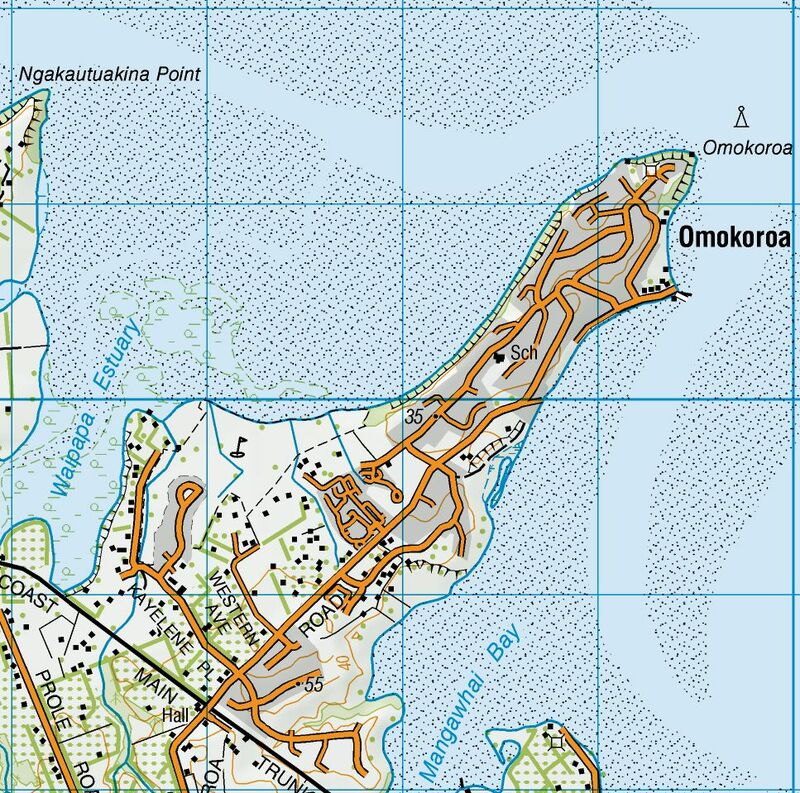 The topographic map shows the same area. Satellite image of the same area, from Google Maps. The tracks were walked on October 16, 2016. 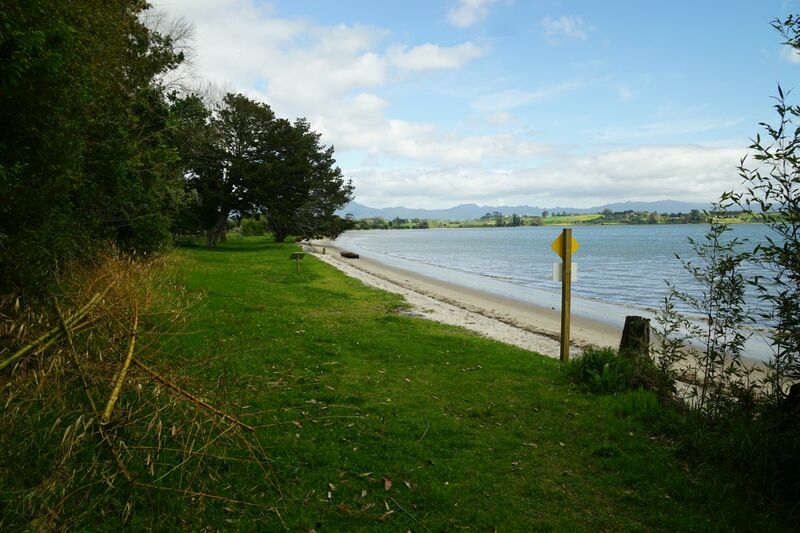 This entry was posted in Walks and tagged Gerald Crapp Reserve, Omokoroa, Wai-Huri Pa on 2016-10-16 by nzartig. 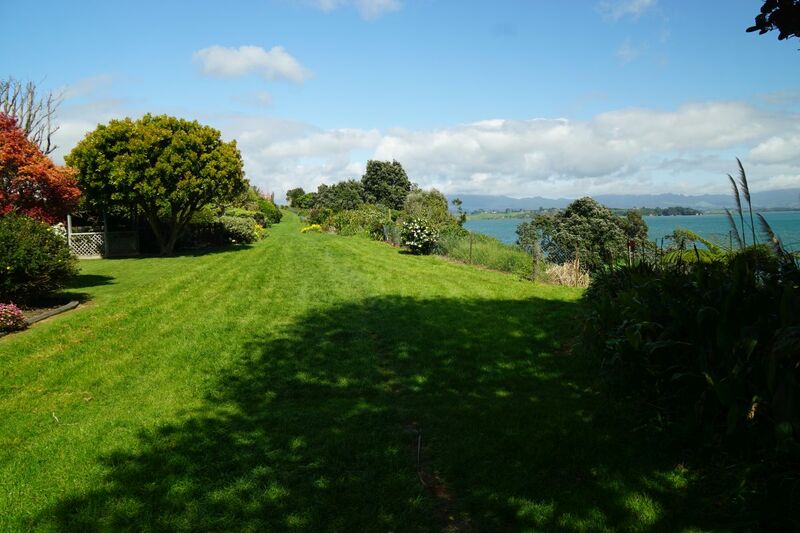 Thank you for sharing this wonderful impression of your long walk around the Omokoroa Peninsula.